Designed to fit all Ovation ellipsoidal fixtures as well as many other standard ERS-style fixtures, Ovation Ellipsoidal HD Lens Tubes utilize high-precision HD optics for unparalleled performance. The Ovation Ellipsoidal HD Lens Tubes’ optics are encased in rugged housings, which are designed to withstand demanding professional touring, broadcast and theatrical use. This lens tube is a fixed focal length for optimal sharpness and performance. 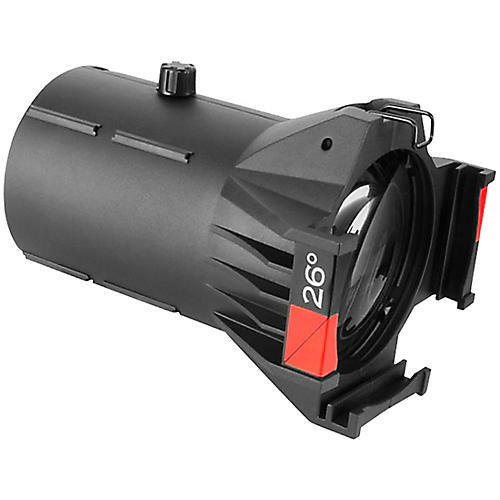 Dual aspheric lenses provide precise focus and crisp gobo projection. The Chauvet Ovation Ellipsoidal HD Lens Tube ships with a standard size gel frame.